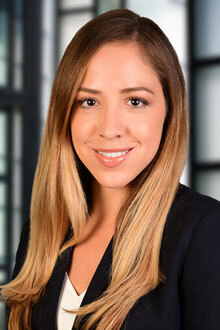 Paola A. Silverman is an associate in the Newark office of Lewis Brisbois and a member of the General Liability, Medical Malpractice, and Long-Term Care & Elder Law Practices. Ms. Silverman focuses part of her practice on the defense of skilled nursing and assisted living facilities against claims involving pressure injuries, falls, and medication errors. In addition, Ms. Silverman represents clients in the insurance industry in matters involving bad faith and extra-contractual claims. She also defends trucking companies in litigation matters involving Federal Motor Carrier Safety Administration regulations, claims for negligence as well as claims for negligent hiring and retention. Prior to joining Lewis Brisbois, Ms. Silverman was an associate attorney at a full service litigation defense firm in New Jersey. After graduating law school, Ms. Silverman clerked for the Honorable Lisa Perez-Friscia, J.S.C., in the New Jersey Superior Court, Bergen County, after interning for Judge Perez-Friscia during law school. As a law clerk, Ms. Silverman assisted the Court in conducting legal research and preparing judicial opinions in a broad array of civil matters including commercial contract disputes, medical malpractice, employment discrimination, and Actions In Lieu of Prerogative Writs. Ms. Silverman also served as a mediator for matters venued in the Court’s Special Civil part.